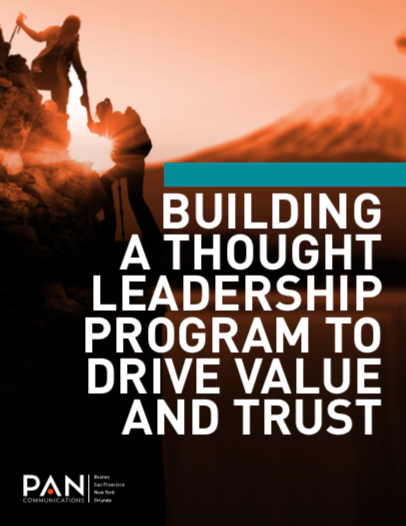 Download ‘Building a Thought Leadership Program to Drive Value and Trust' to integrate your brand’s authority across content marketing and earned media efforts. So, how can you stay ahead of the industry curve and gain your competitive advantage? When B2B brands find the right balance between thought leadership, Voice of the Customer, brand advocates, PR and content marketing - they'll discover a pathway that shines a light on their unique industry perspective. Build the proper foundation to achieve true integration between your thought leadership strategy and your PR and marketing goals. Don't get left behind in the race to establish authority and credibility in your industry. Start now. Are you ready to master thought leadership?